It was Thanksgiving last week. And at least one CEO chose to get into the holiday mood writing a fun blog, albeit on a sensitive subject: Executive perquisites. David Chun, CEO of Equilar, the Redwood Shores, California-based company that specializes in benchmarking executive and board pay and a NASDAQ strategic alliance partner decided to let his readers "get a kick out of" the lowdown he has on the goodies companies pay their executives. In "Perquisites - Fun SEC Reading Just in Time for the Holidays", Chun, surprisingly, has taken a very cautious step as he begins with "Perquisites are undoubtedly one of the more controversial areas of executive compensation. As such, I will not attempt to address the merits of perks, or why companies should or should not offer them." Very few authorities on the subject have attempted to explain the metrics behind why companies pay their executives what has now acquired various names, including, "perverse perks" and "the other compensation", although companies that Chun has highlighted in his blog have provided details about the "why" of it. For instance, Chun writes that UST Inc offers "an annual wine allowance of up to $5,000 to foster use of the Company's wine products at events supported by such directors." In its proxy statement to the SEC, under the component Perquisites, UST Inc justifies the why, saying: "The level of the perquisites allowed is based on the Company's assessment of a reasonable amount necessary to accomplish its objective in providing these benefits." Shouldn't such a statement by a company be fair enough for allowances such as wine, a $1,500 as clothing allowance to non-employee directors at Harley-Davidson or entitlement of $5,000 annually as "Lucky Cat Dining Card" to non-employee directors at P.F.Changs? That much for the amusement part of the perquisites. The serious issue about executive perquisites was, earlier this month, released as a study by Equilar. 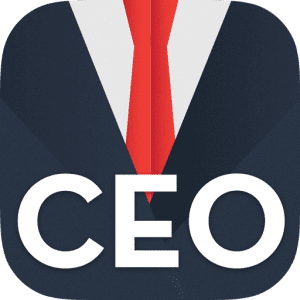 Chun writes: "We've published numerous newsletter articles on this topic over the past several months and also recently released a study of Fortune 100 CEO benefits and perquisites that was picked up by BusinessWeek." The Equilar study, according to BW shows that "The median value of benefits and perks received by chief executive officers at nearly 100 of the nation's largest companies fell 1.3 percent in 2006, to $334,433" mainly "driven in part by the new [SEC] rule itself rather than any resulting change in behavior." What's so scary about disclosures? In June, growing calls for a forum to raise and discuss fraud and corruption resulted in the formation of the Deloitte Forensic Center (DFC), a think tank that will comprise of corporate leaders, government officials, attorneys, academics and forensic accounting colleagues with an aim to explore new ways of mitigating the costs, risks and effects of fraud and corruption. Although DFC's study will be restricted to research on the irregularities uncovered and acted upon by the Securities and Exchange Commission, it promises to come out with industry benchmarking initiatives from the case studies. Toby Bishop, a director and partner in the Forensic & Dispute Services practice of Deloitte FAS and a co-director of DFC says: "In the past, fraud was a relatively rare event. And when it occurred it was easy for most business people to write off the situation as happening only to bad companies, whereas, today fraud has become a very common issue that most businesses experience to some degree and, as a result, it's an issue that all chief executives need to consider carefully and work to ensure that it does not seriously harm his or her business. And that's the big change from it [fraud] only happening very rarely." Later that year, the President's Corporate Fraud Task Force swung into action and announced an aggressive agenda to fight corporate fraud and abuse, along with a ten-point plan that also included a must-do list for CEOs (see:http://www.whitehouse.gov/news/releases/2002/09/20020926-2.html). Yet, fraud and corruption remain endemic issues to this day. "This is an issue that should be a concern to every chief executive, to every business owner whether they run a multinational organization or their own private company. They should want to take appropriate steps to protect themselves from the fraud risks that are common these days," says Bishop. There are those who are skeptical about the fact that fraud is greater today than yesterday. What is the current level of fraud? They ask. "The Association of Certified Fraud Examiners publishes a major fraud survey of its members every two years. In its 2006 "Report to the Nation on Occupational Fraud and Abuse," the median estimate by respondents of the percent of annual revenues that a typical organization in the U.S. loses as a result of fraud was 5 percent. When multiplied by U.S. Gross Domestic Product, that produced an estimate of fraud amounting to $652 billion. The comparable results in the 2002 "Report to the Nation" were 6 percent and $600 billion. So while respondents indicated that the percentage fraud loss has declined, the dollar cost of fraud was estimated to have risen," says Bishop. These studies are available at: http://www.acfe.com/fraud/report.asp. "The 2007 Oversight Systems Report on Corporate Fraud stated that 76 percent of responding fraud examiners felt that institutional fraud was more prevalent today than five years ago. That is up from 67 percent in the comparable 2005 survey," he adds. In its fifth year, SOX has been both, under attack for being too costly, burdensome and complex as well as for enforcing transparency in companies' accounting and financial reporting. Businesses have been pressing for easing of corporate governance rules and restraints on lawsuits against corporations. Critics of the act, though, along with those with a critically-questioning mind want to know to what degree has SOX contributed to surfacing of fraud and whether it is worth the cost it imposes - both the direct cost and the opportunity costs. "Sarbanes-Oxley has certainly focused on financial statement fraud and trying to better prevent, deter and detect that. And in general, it appears that the level of financial statement fraud appears to have declined since SOX was passed. Whether that is specific to the Sarbanes-Oxley Act or other measures no one is certain," says Bishop candidly. "Sarbanes-Oxley has required businesses to focus more on their internal controls, including measures to prevent and detect fraud. 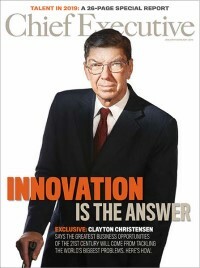 And, we have observed that a number of companies have, as a result, realized that their controls were not as up-to-date or did not include the most effective measures and the greater attention that Sarbanes-Oxley has focused on this area has led companies to make many improvements in their internal controls which has enhanced risk-management and better protect shareholders funds," adds Bishop. Detecting fraud and corruption and acting swiftly on them has been a tough task for the SEC, which has been criticized for either being too hard on companies or not hard enough. The Deloitte FC study and research will only focus on the fraud identified by the SEC and where it has taken action. Is there more that the SEC could not or is not equipped to discover? "There are many types of fraud that the SEC would not be looking at. They are focusing on financial statement fraud. They would not be focusing on other types of fraud that would not be material to the financial statement. For example: Vendor fraud, where a company has set up a phony vendor and helped himself or herself or customer fraud, where a customer may be defrauding a company etc. The SEC's focus is by its nature selective," says Frank Hydoski, chief of forensics of Deloitte FC. According to Bishop, the population of companies generally is bigger than those that are regulated by the SEC. "The SEC is only covering those companies that are SEC registered and which have stock or debt traded in public markets in the US. There are private companies and also governmental and non-profit organizations that are not within the scope of the SEC's regulations and would not be covered in the study. And fraud certainly takes place in those types of entities as well," he says.